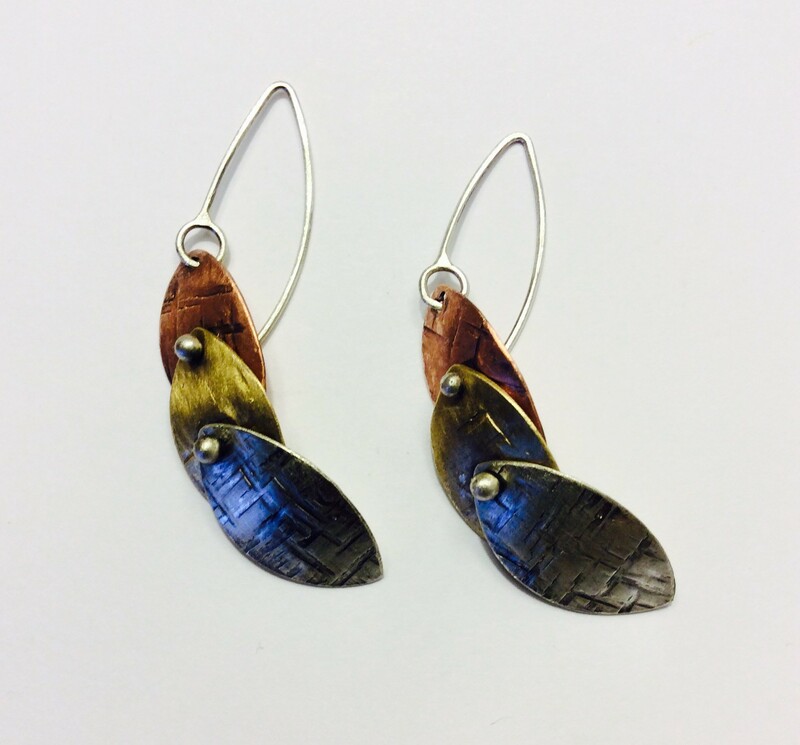 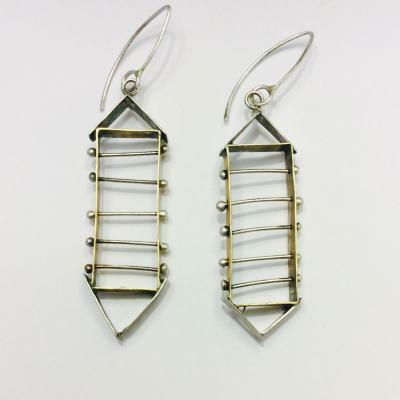 Layers of metal textures create these bold, kinetic earrings. 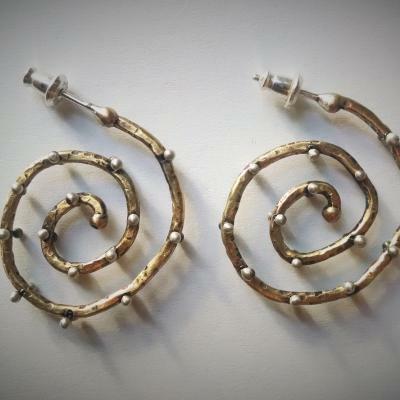 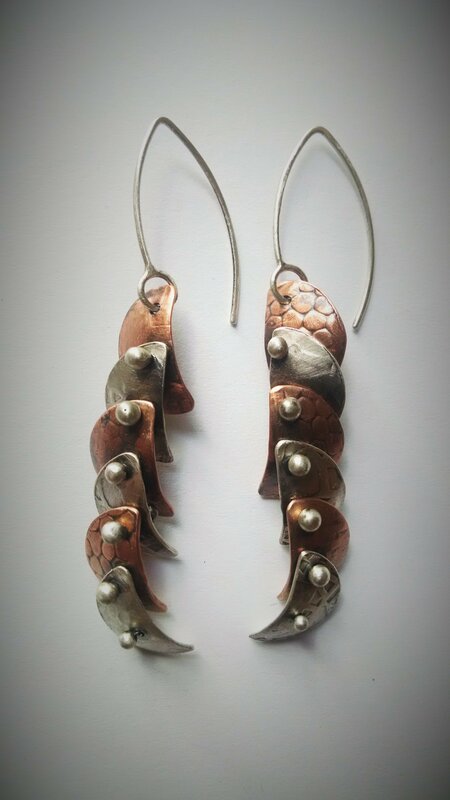 Available in silver with either copper or brass. 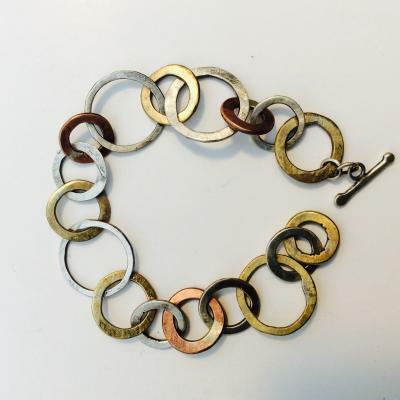 Approximately 2.5″ in length. 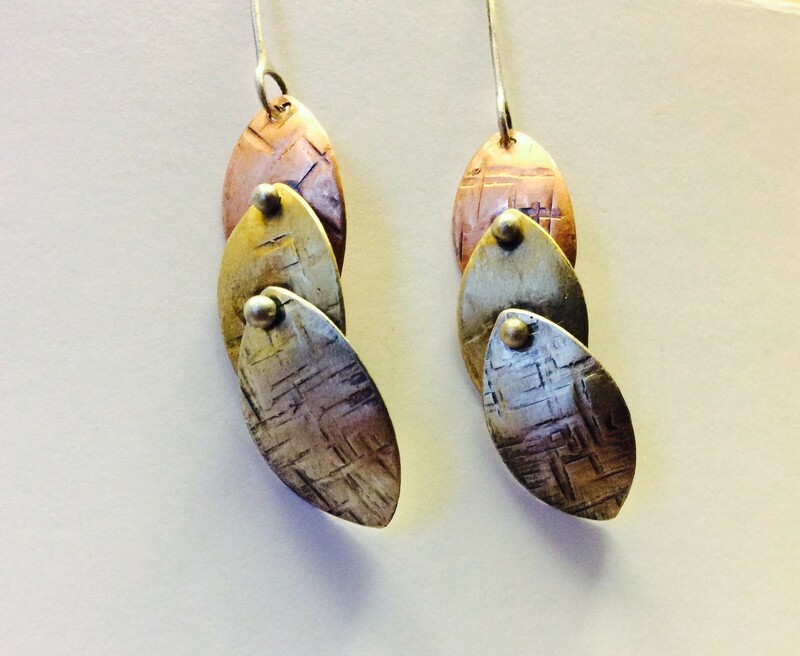 Fused, fabricated, riveted, soldered, patina, brushed, lacquer.